Federal prosecutors in New York have reportedly ordered President Trump's inauguration committee to turn over documents about its donors, finances and activities. The New York Times, citing two people familiar with the investigation, reported that a lawyer working with the inaugural committee received a subpoena on Monday. The order sought a range of documents, including ones related to the committee’s donors and event attendees as well as any benefits handed out. The report followed an earlier one from ABC News, which said that prosecutors in the Southern District of New York's public corruption section reached out to the inaugural committee on Monday afternoon. Prosecutors reportedly showed interest in whether any foreign figures donated to the organization, and whether staffers on the committee were aware that it was illegal. A spokesperson for the inaugural committee told The Times that it was examining the subpoena and that it intended to cooperate with the probe. ABC News noted that Trump's former personal attorney, Michael Cohen, has been repeatedly interviewed by prosecutors in the district as part of its probe. Trump Organization Chief Financial Officer Allen Weisselberg has also agreed to cooperate with the investigation. A Southern District of New York spokesperson declined to comment to ABC. The White House did not immediately return a request for comment from The Hill. 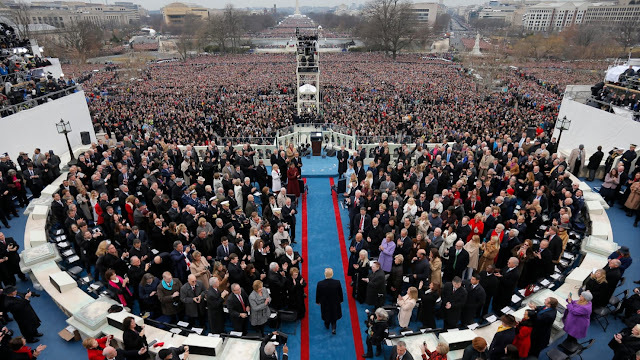 Trump's inaugural committee raised a record $107 million for the 2017 inauguration, about twice as much as former President Obama and former President George W. Bush raised for their inaugurations. Despite the large total, events surrounding Trump's swearing-in were fewer and smaller than in years past, ABC reported. The committee is facing scrutiny regarding its donors. Federal prosecutors are investigating whether Trump's inauguration committee accepted donations in exchange for access to the administration, according to a December report from The Wall Street Journal. The inauguration and its donors are reportedly also of interest to special counsel Robert Mueller in his investigation into Russia's election interference.